As the world grows smaller, faster, and more connected, cloud computing just makes sense. Long gone are the days when a simple sheet of paper and a pen could move a business in the right direction. Today, everything seems to happen on the internet. Because of that, innovation around the technologies that make this possible are happening faster and faster. Better networks, better storage, better workers are all the norm. Now, cloud storage and its improvements are in the focus of public attention. And for good reason. Those that can harness the cloud will have a distinct advantage over those who don’t invest in it. Here are 5 reasons you should be using cloud computing in 2018. With so much technology today, one person can’t do it all. A company needs a team of people, each specializing in their field. From backend, to frontend, to networking, to design, all technology professionals must work together. The cloud is bringing innovation to the forefront because teams can work together in new ways with team members they’ve never met thanks to instant chat and data sharing networks. By syncing everything up into the cloud, they don’t have to worry about losing progress on a key project and they can have multiple backups just in case. When programmers begin to rave about something, it’s a sign that the technology behind it is sound. After all, programmers spend all day on their computers and they understand these systems better than anyone else. Many coders are saying that cloud computing is ushering in a new revolution of technology and development. The cloud technology allows people to get more done in less time, and that’s good for everybody. With this big list of cryptocurrencies by market cap, it’s easy to see cryptocurrencies are on the rise, they’ve been making waves in the digital space for quite a while now. And luckily for everyone else, the effect is that more cloud storage is being built and innovated on. These currencies need storage in the cloud because much of it is done online through various networks. There needs to be some kind of central communication and that means cloud is the transport and storage system of choice. Research into cloud automation tools is spurring the migration immensely. Automation means several things. First, it means you don’t have to spend the time finding qualified programmers. Coders are expensive today, and their salaries will likely continue to rise. It also means you don’t have to be inefficient in your operations. You can deliver customer solutions faster and meet key KPIs in your business. Cloud computing is heating up. When one of the world’s biggest tech companies, Alibaba, who broke IPO records when it went public, is coming after Amazon, another online powerhouse, it means the cloud is here to stay. Other companies often look to these powerhouses to see the next move. Their next move seems to be major investment in cloud tech. They are spending billions on this trend and that’s because of the ROI they expect. The question to ask yourself is if it’s good enough for Amazon and Alibaba, is it good enough for me? In today’s digital world, you need to innovate to stay alive. The companies listed above all are competing to have the same customer base. 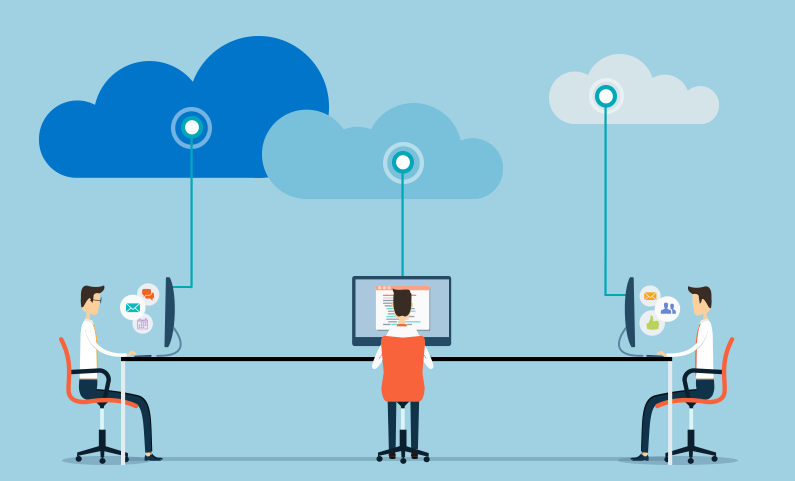 As the world grows smaller, faster, and more connected, cloud computing just makes sense. It is more scalable, robust, cheaper, and agile than anything that has come before it. Those who embrace the change and get ahead of the curve will have fun and profit. Those that ignore the signs will regret it. So keep an eye on the cloud, it’s the wave of the future. Will the Integration of Accounting & Artificial intelligence Fruitful?